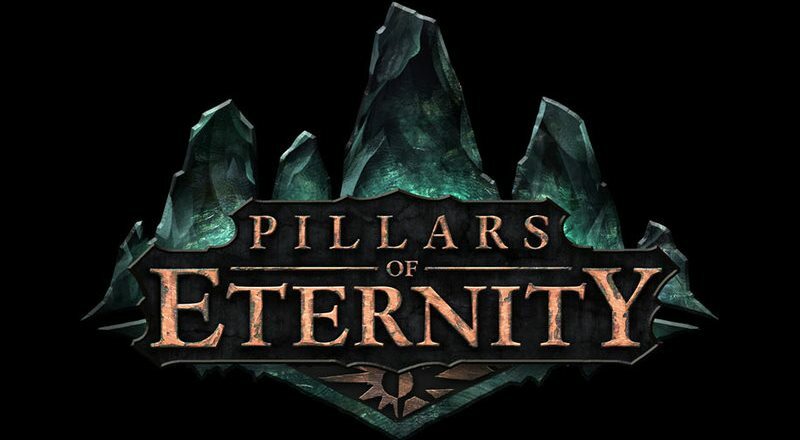 You might be surprised to hear that Obsidian's Pillars of Eternity has other people besides Josh Sawyer, Chris Avellone or Eric Fenstermaker working on it. One of these people is the narrative designer Carrie Patel. She is also a writer, and is publishing her first book, "The Buried Life," in July. What are some of your literary influences and your favorite games? It's hard for me to pinpoint who I actually emulate, but I'll tell you who I'd love to follow. I love Neal Stephenson -- his books are funny, smart, and thrilling all at the same time, and I'm convinced that the first two pages of Snow Crash would hook anyone. I loved Umberto Eco's The Name of the Rose for the way it bound a fascinating mystery, two surprisingly lovable characters, and interesting theological questions. And I'd also have to mention Dune. I liked the story, and beyond that, I loved the way it fleshed out an entire universe of political and economic conflicts. On the games front, my big formative experiences were with the old Sierra adventure game series -- King's Quest, Quest for Glory, the Colonel's Bequest. I loved playing through stories that were also puzzles, and it was always satisfying to explore, explore, and explore again and finally find the thing (an old boot, a soup bone) your character inexplicably needed. It was fun even though it was way too easy to play yourself into an unwinnable corner without realizing it. I've also loved Morrowind -- it was the perfect blend of sandbox and story in a nontraditional world, and it just goes to show that you don't need to play a plumber to travel a world with giant mushrooms. I had tons of fun with both the combat and the storyline of the Mass Effect series, and I loved stealthing my way through Deus Ex: Human Revolution. For something a little different, Braid and The Stanley Parable did amazing things with experimental storytelling while unfolding their narratives with unique but fitting gameplay. The Stanley Parable is one of the funniest games I've ever played, and even though it's brief, I was as engrossed in it as I've ever been in bigger, more produced games. And the end of Braid is one of my favorite "aha" moments in any game. And, of course, Planescape Torment is a great example of a unique and immersive narrative -- even though character customization is limited, the choices presented to the player make the experience every bit as personal as if you'd built the character from scratch. What do you find the most difficult aspect of writing for a video game like Pillars of Eternity? Carrie Patel is a narrative designer at Obsidian Entertainment, and is currently working on Pillars of Eternity. She is also a writer, and is publishing her first book, "The Buried Life," in July. She has a blog over at http://www.electronicinkblog.com/. Her publisher is AngryRobotBooks. From that website, "Carrie Patel was born and raised in Houston, Texas. An avid traveller, she studied abroad in Granada, Spain and Buenos Aires, Argentina. She completed her bachelor’s and master’s degrees at Texas A&M University and worked in transfer pricing at Ernst & Young for two years." I asked Carrie if she would be willing to answer a few questions and she agreed: then I put it out to the Codex to see what you guys wanted to hear. Here is the resulting interview. Hormalakh: Thank you very much for taking the time to speak with us. Before we get started, I’d like to say it’s very refreshing to see someone with your background working as a video game narrative designer – how does someone with a master’s degree focusing on national security and a gig working at Ernst & Young get into the games industry? Was it a difficult decision for you to change careers or are you doing what you’ve always loved now? You’re also a writer outside of doing narrative design at Obsidian, and your first book, The Buried Life, is out on July 2014. Congratulations! So, what’s the book about? Your blog also mentioned that you have built a (few?) mods for Neverwinter Nights. Where can we find these mods? 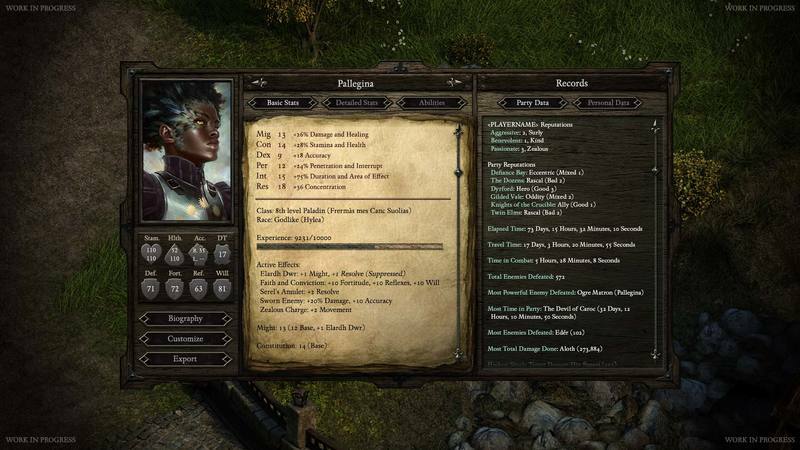 Speaking about games, you’re working on Pillars of Eternity: In your opinion, what are the differences between writing a book and writing for an RPG like Pillars of Eternity? This is sort of a process question. In speaking to other narrative designers, we understand that they are not the only ones that contribute to dialogue writing in a game: sometimes area designers contribute too. Does it work the other way around? 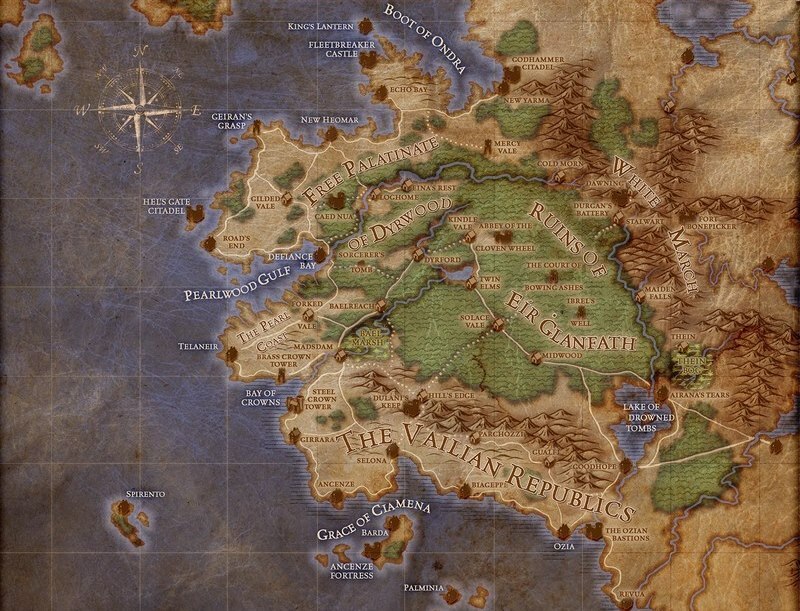 Are you involved in writing and designing quests for Pillars of Eternity? What is the most interesting thing to you regarding the lore? Have you been able to contribute to the lore yourself? One of the most important aspects of an RPG for many players is the quality of the writing and, especially in an Obsidian game, the companion dialogue. Working with Chris Avellone, Eric Fenstermaker and Josh Sawyer, does that leave you with any room to contribute companion dialogue as well? Anything that you can share or does Eric Fenstermaker just steal all of your best ideas and share them as his own? Speaking of best ideas, how do you find inspiration for yours? How has working with industry veterans like Eric Fenstermaker, Josh Sawyer, and Chris Avellone helped with the transition from writing literature to writing for video games? Do you have any anecdotes you’d like to share? Do you have any special security measures in place at Irvine to deal with Josh Sawyer's overzealous fans? What about Chris Avellone’s fans? You once wrote, “I guess the moral of the story is that perspective and first impressions are powerful” and “[good fiction] presents complex characters and makes them somehow sympathetic, even when they're not the kind of people you can pull for.” How do you approach making possible antagonists sympathetic when (especially in video games) they do not have the luxury of perspective? By giving the antagonist believable motives that become personal for the player. Ideally, the antagonist has reasons for her shenanigans, and ideally, they connect to the big picture questions of the game. And if the player is facing these questions throughout the game -- in quests, NPC interactions, and companion relationships -- then by the end, he'll have seen many sides of them. Perhaps some that make the antagonist's position relatable if not actually sympathetic. And whether or not the player actually sides with the antagonist, he'll at least have an understanding of her position and how she reached it. How do you approach the challenge of balancing player agency with trying to tell a story? What do you think contemporary RPGs do particularly right or wrong in terms of narrative? Are there areas that you think need particular attention? In recent years, games have moved towards a more cinematic approach, and that has clearly impacted game writing as well. How do you feel about the medium today? John R. R. or George R. R.? Thanks to Abelian, Crooked Bee, felipepepe, Lord Trousersnake, sser, Tigranes, tuluse, and Whiskey for the questions. Special thanks to Sensuki for helping with a bunch of the questions and editing them.